We continue our Hunger Games excitement with a glimpse of our heroine from District 12! Katniss Everdeen is a forager and hunter and her hunting style is very different from how we can expect to see her in the games. 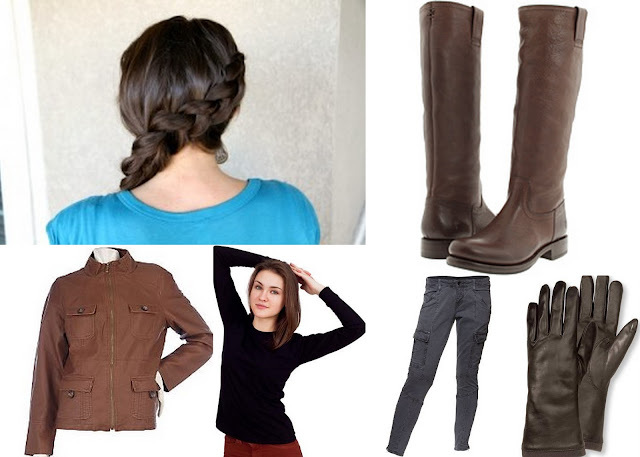 Here's a look at some items to include to help you mimic Katniss' hunting style, complete with side dutch braid! Love those boots! Happy hunger games!